Best Of Gaming at CES 2018: Nvidia BFGD, Ultra Game Boy, HTC Vive Pro, Razer Mamba Hyperflux and More! The gaming industry is largely dominated by Nvidia, and so we did expect the brand to unveil something big at this year’s CES. And boy, did it literally deliver something big. Nvidia brought about a huge 65-inch 4K HDR gaming display. Called the Big Format Gaming Display or BFGD in short, the display makes use of Nvidia’s G-Sync technology to deliver a refresh rate of 120Hz. BFGD also features a full-array direct backlight, with over 1,000 nits of brightness and covers the whole DCI-P3 color gamut. According to Nvidia, the all-new BFGD will be produced in conjunction with Nvidia’s hardware partners which include companies like Acer, Asus, and HP. Nintendo Nostalgia is a big seller, as we saw last year with the high sales figures of the NES and SNES Classics. Trying to take advantage of this, Hyperkin took to the stage at CES 2018 to announce its remake of the Game Boy. 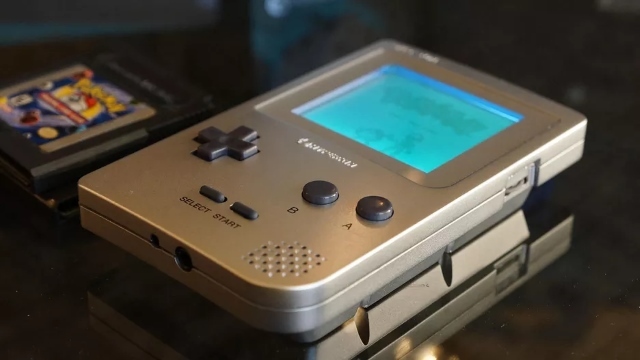 Dubbed “Ultra Game Boy”, the classic handheld features a six-hour battery, a USB-C port, a pair of stereo speakers, and more. The Ultra Game Boy is a dream come true for gamers who love to enjoy the chiptunes while gaming. Hyperkin is reportedly working with the team behind Little Sound DJ to make sure the handheld gaming device comes with chiptune music composition software built-in. While the final design might still see some changes, the company plans to sell the device under $100 in the summer. Multi-monitor setups are something that true gamers prefer over a single ultrawide screen since it is often cheaper. It also allows better multitasking as well since you can assign a specific desktop to each monitor. While there a ton of advantages of multi-monitor setups, the one big issue with these is the huge bezels. Well, luckily for you, Asus has just launched the ROG Bezel-free kit to create a more seamless picture without any distraction. The kit includes long strips of thin lenses that deploy optical camouflage to virtually or visually end the bezels. Developed in association with one of its backlight suppliers, the lenses are made by a type of transparent thermoplastic called Polymethylmethacrylate, or PMMA. Placed along the bezels at a 130-degree angle, the kit creates the illusion of a single, uninterrupted screen. While no price has been revealed as of yet, Asus says that it will be available in the first half of this year. Razer is known for unveiling some of the best prototypes at CES events. While their previous prototypes never really made it to the production stage, the Project Linda unveiled at CES 2018 is something that we all are hoping to go on sale. The idea behind Project Linda is simple, to take your mobile experience and turn it into a laptop. With Project Linda, you get a barebones 13-inch laptop system with an RGB keyboard, a 120Hz display, 200GB of onboard storage, and a 53.6Wh internal battery. Oh, and instead of the touchpad, there’s space to dock your Razer Phone, which acts as the main core of your device. While the device performs more like a Chromebook, the company hopes for developers to extend support towards this project and optimize their games to provide a better interface and interaction using the monitor as well as the phone’s display. We’ve all seen RGB cabinets and liquid cooling systems to flaunt your gaming PCs. But the new case from iBuypower is certainly a product that sets new heights in making your custom rig look absolutely insane. iBuypower, in coordination with Intel, has announced the iBuypower Snowblind that takes a transparent LCD display typically used in digital signage and integrates it into the side of an NZXT N450 case. The end result? A Rainmeter like HUD on the side panel of your case. This 1280×1024 resolution LCD panel gets connected to your system’s GPU, and the system detects it as a secondary monitor. You can then place custom skins, wallpapers, or rainmeter widgets for a truly awesome look. Also, since the panel is transparent, you can flaunt your liquid cooling or RGB lights while having the awesome widgets run on top of them. According to the company, the cost of a Snowblind window will add just $250 to one of its PC builds and will be available as soon as February. The HTC Vive is one of the most preferred VR gaming headsets alongside the Oculus Rift. This year, it was speculated that HTC was gonna up their game by bringing on something new to the VR world. And that is what they exactly did. 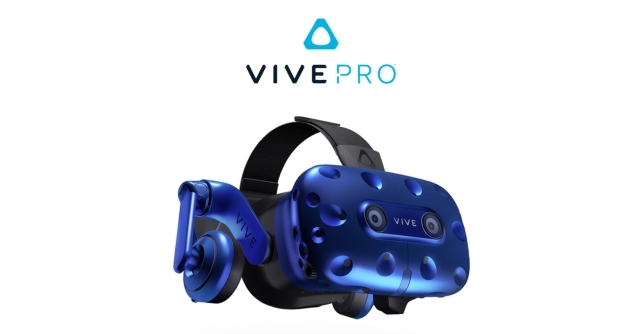 The company took the stage to announce the HTC Vive Pro headset and a wireless adapter while bumping up the resolution of the VR headset. The Pro model now runs at a staggering 1,440 x 1,600 resolution with a 110-degree field of view and 90Hz refresh rate. It also has two front-facing cameras and comes with built-in headphones. All this is bound to take VR gaming by a storm. Although pricing for both products wasn’t announced, HTC says they should be arriving later this year. While Project Linda got everyone’s attention, another great device launched by Razer that might have been missed out by gamers is the Razer Mamba HyperFlux. Unlike the original Razer Mamba that houses a 900mAh battery within its shell, the new Razer Mamba makes use of the company’s all-new HyperFlux wireless power technology. The bundled HyperFlux mousepad makes uses of a magnetic field to transmit power to the mouse in real-time. As a result, the mouse has lost a lot of weight and is much easier to maneuver making it especially good for gaming. The mouse is available for $249.99 and is bound to be loved by PC gamers who prefer a wireless lightweight mouse but are annoyed by the hassles of the battery. While having been announced to be in the works for a long time, Nvidia finally looked at CES 2018 as an opportunity to showcase the GeForce Now, and allow the users to experience (pun intended) the cloud-based gaming service. GeForce Now is a cloud-based gaming service that gives the users their own virtual PC in the cloud. 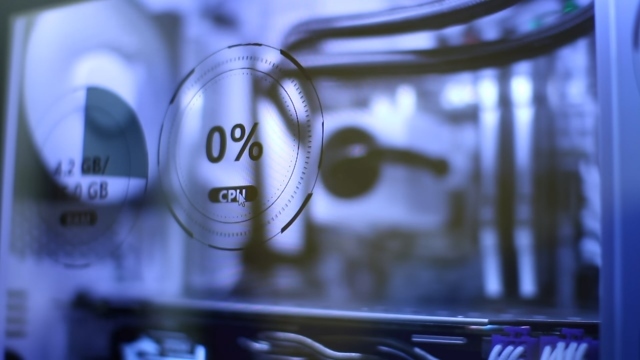 These cloud computers are powered by the latest NVIDIA GeForce GTX graphics cards and deliver superb gaming performance. Nvidia states that the service supports over 160 games, but of course you have to own the game to stream it over the service. The company showed off the service by running PUBG and Rainbow Six on decidedly crappy laptops at the event. Undoubtedly, the games ran buttery-smooth on those systems. For those of you interested, the Beta is currently free in North America and Europe and you can check it out here. With so many gaming products that were unveiled at the event, it was hard to come up with my favorites and the ones that would certainly be preferred by others as well. Still, there’s a chance that I might have missed out on a product that wowed you. If so, do let us know about your favorite gaming gadgets or accessories or technology that was announced at CES 2018 in the comments down below.